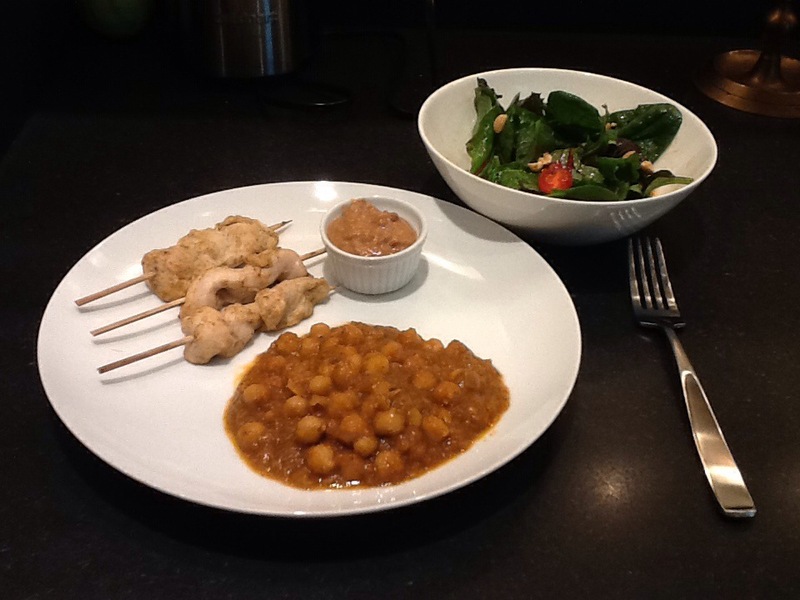 For lunch I repurpose some chicken satay skewers with spicy peanut sauce. I throw together a quick salad with greens, chopped peanuts and a ginger soy vinaigrette. Chana masala is the main dish, full of heavily spiced chickpeas. Warm and warming! 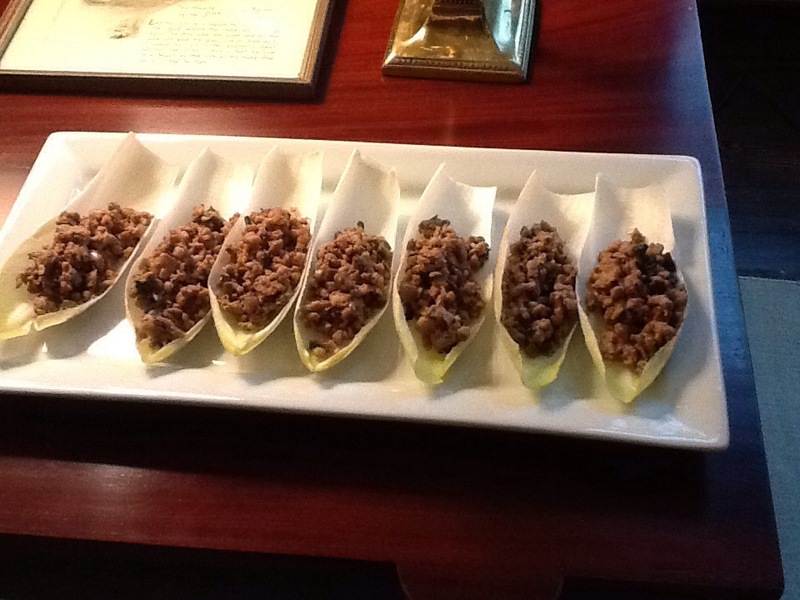 Dinner begins with canapés of larb on endive leaves. Ground pork stir fried with lemongrass, lime, black pepper, garlic, ginger, mint and fish sauce. 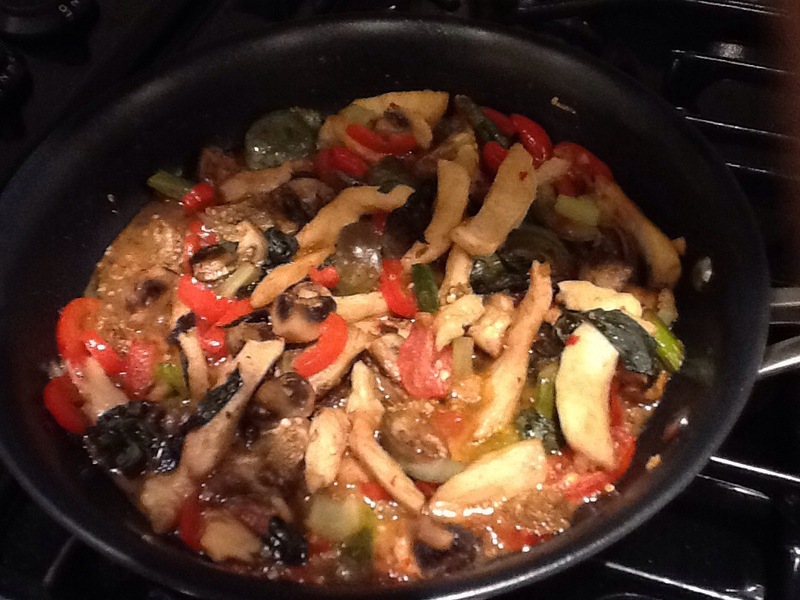 A main course of Gai Pad Grapow, sweet, salty, herbaceous chicken with thai eggplant, red bell pepper, mushrooms, onions, sweet basil, and chili peppers makes Mr. Client happy. Thai basil fried rice with shrimp rounds out the meal. Spice chases away the rainy day chills.